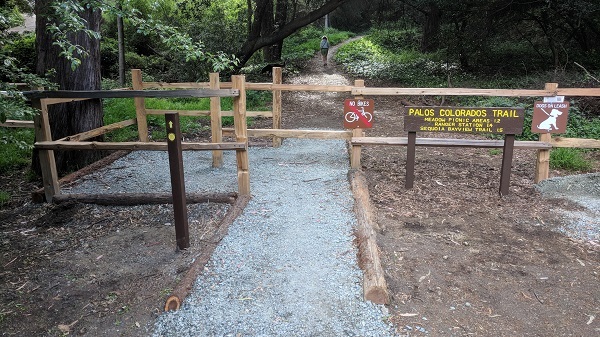 The old gate at lower Palos Colorados Trail (pictured above), after decades of service, failed and fell over in the summer of 2017. 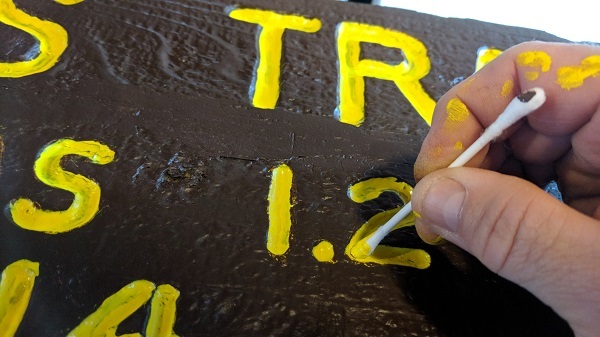 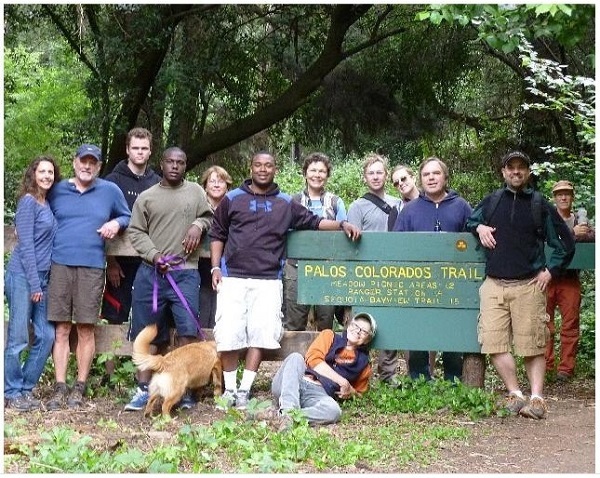 So back in October, Oakland Trails volunteers started planning for construction of a new gate and improved signage. 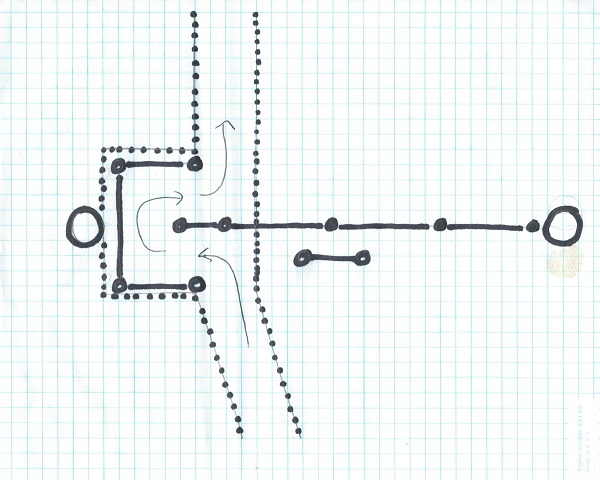 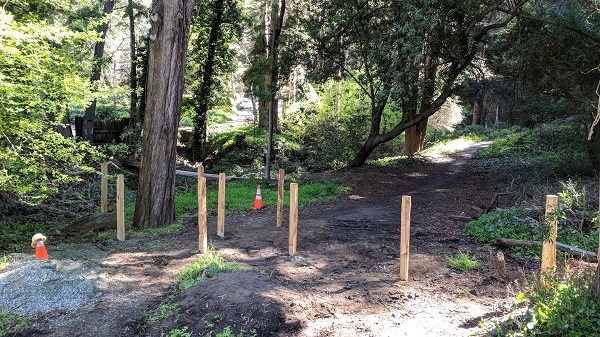 We teamed up with the Bicycle Trails Council, then started the project by having our chicane design approved by Oakland Public Works, Oakland’s ADA Compliance Director, and the Parks & Recreation Advisory Commission. 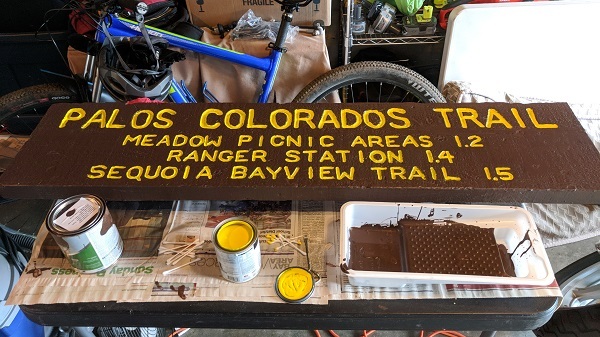 With permission in place from the city, and a USA dig complete, the Bicycle Trails Council purchased the fence materials, and Oakland Trails harvested redwood tree fall for the path edging, procured new signage, and began to restore the old sign. 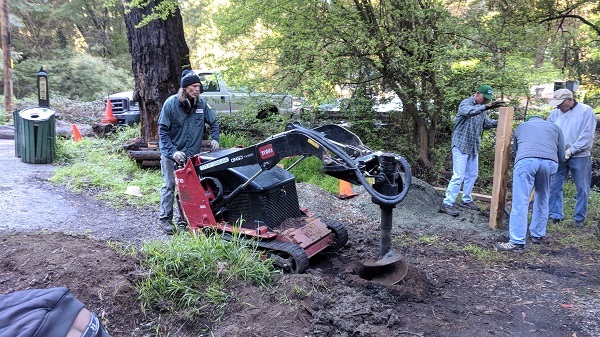 And on a Monday in March, we were lucky to get OPW staff to help dig some post holes for us, so we got to work. 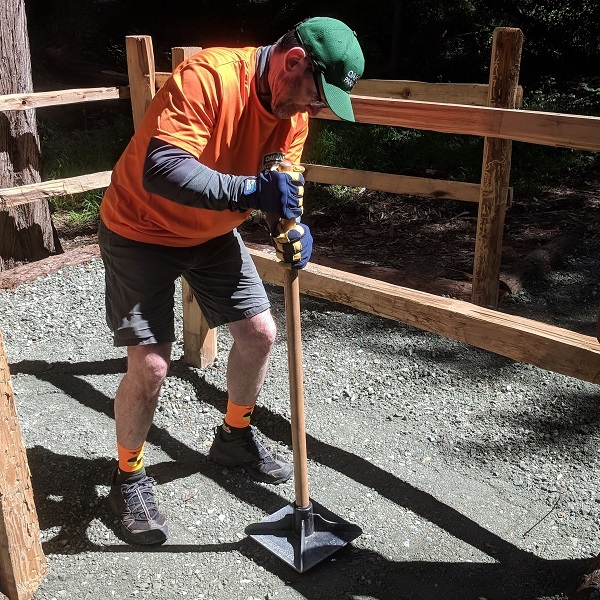 Special thanks to the Bicycle Trails Council, Oakland Parks, Recreation and Youth Development, and Oakland Public Works for their partnership on this project.